Blogs are an effective means of sharing knowledge and materials created and collected by the group in the course. It may include any combination of text, images, links, multimedia, attachments etc. You can post entries and add comments to existing blogs. There are course blogs where everyone is allowed to comment and contribute and there also group blogs that address the participants of a specific blog. 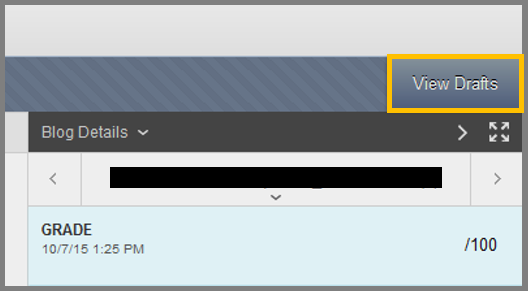 Any course member can read and comment on a group blog, but cannot make entries if they are not a member of the Group. Only your instructor can create a blog, but after creation, you can post blog entries. If you are removed from a course, you will not have access to any blogs. On the course menu, click Tools. On the Tools page, select Blogs. A group – group members are selected from the instructor. All group members can make blog entries and comments. The course – all enrolled users. 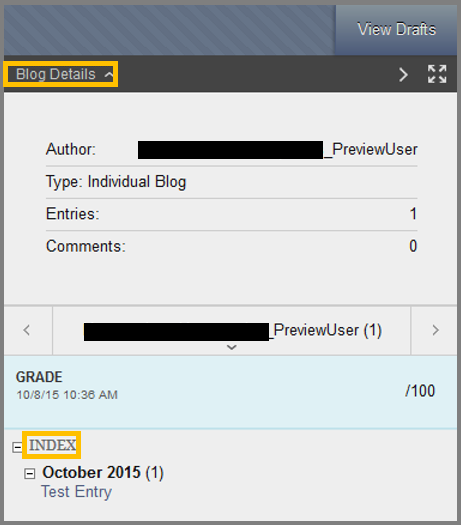 All enrolled users can create blog entries and add comments. Individual – Only the owner of a blog can create blog entries. All other enrolled users can view and add comments. 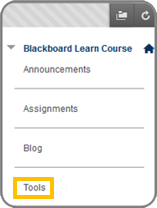 Click Blogs on the Course Tools menu. Click the blog you wish to enter. Click Post Entry as Anonymous if appropriate. Click Post Entry OR Save Entry as Draft to save the entry for later posting. These drafts can be viewed by clicking View Drafts from the blog page of the specific blog. Blog entries:Text,links,images, multimedia, mash-ups and attachments added by course member that are open for comments. Comments: Responses to these entries made by other course members. For information on how to use the VTBE , click here. Navigate to Tools > Blogs. While on the Blog listing page, select a Blog. 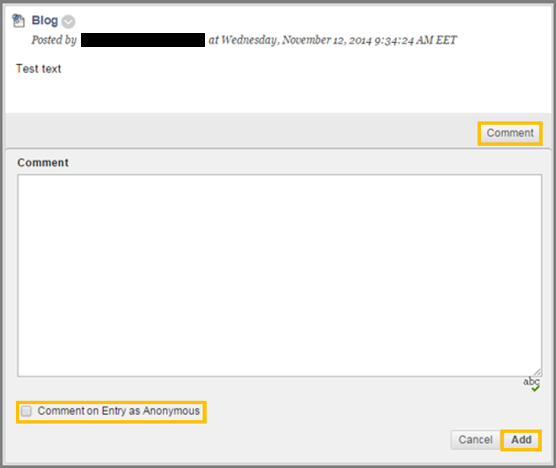 While inside the selected Blog, press the Comment button located at the end of a users entry to reveal the comment box. 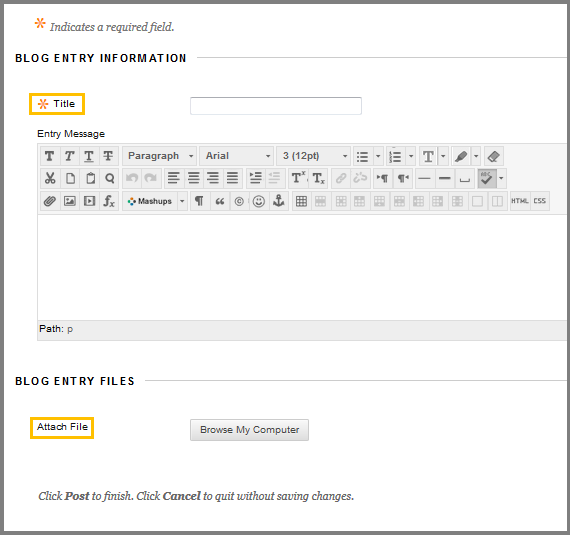 In the creation of a Blog Entry you have the option to Save Entry as Draft. This option instead of publishing the blog entry, it saves it for later use. To access a Draft, navigate to the Blog page and click the View Drafts button. While inside the Drafts page, you can see all blog entries that you saved as drafts and modify them or publish them. In order to access a draft, click on it. While inside you can modify it and save it again as a draft by clicking the Save Entry as Draft button or publish it by clicking Post Entry. The information about the blog can be found on the right page of your screen. Author: Who created this blog. Entries: The number of entries in this blog. Below you can see the Grade of this blog entry. If you want to display the Blog in fullscreen, simply press the fullscreen button at the top-right of the screen.